Bronson Canyon! | Announcing the Cheryl Sparks Tribute Kit! Announcing the Cheryl Sparks Tribute Kit! Now in development is the Cheryl Sparks Tribute Kit! This the next kit I will be releasing. A tribute to Cheryl Sparks, who, at 17, portrayed “Huey” (Drone #2) in SILENT RUNNING (1972). The kit will be released with Cheryl’s participation and blessing. Each kit will include an autographed photo. 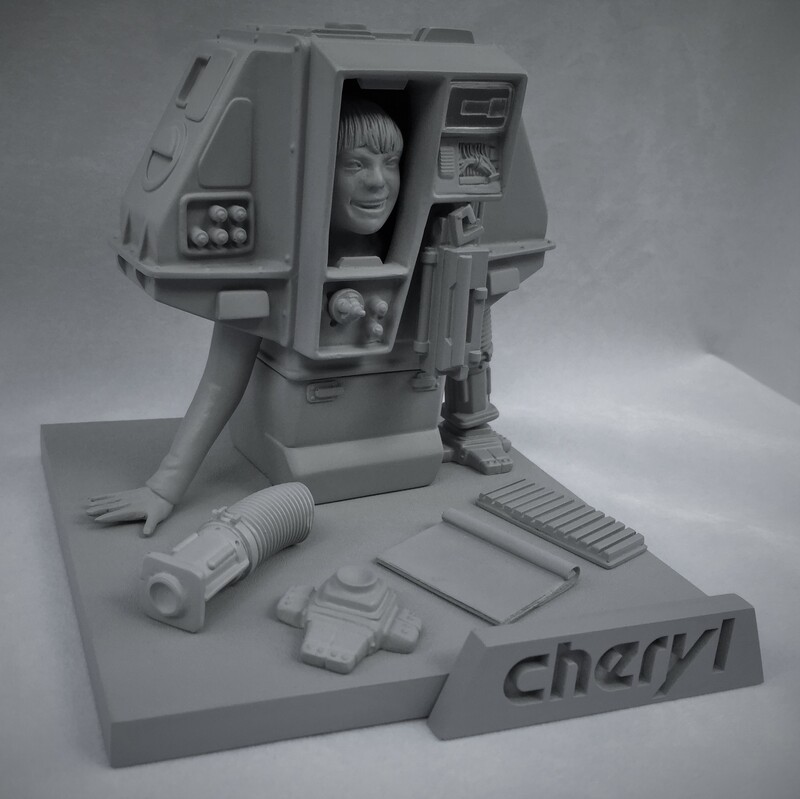 Cheryl’s likeness was sculpted by Gabriel Marquez. The kit is 1/8th scale, the same as my other robot kits. TimeSlip Creations will be doing the castings. Price and availability yet to be determined. “Dotting the Eyes” to bring some life to the primered sculpt of Cheryl’s likeness by the incredible Gabriel Marquez. 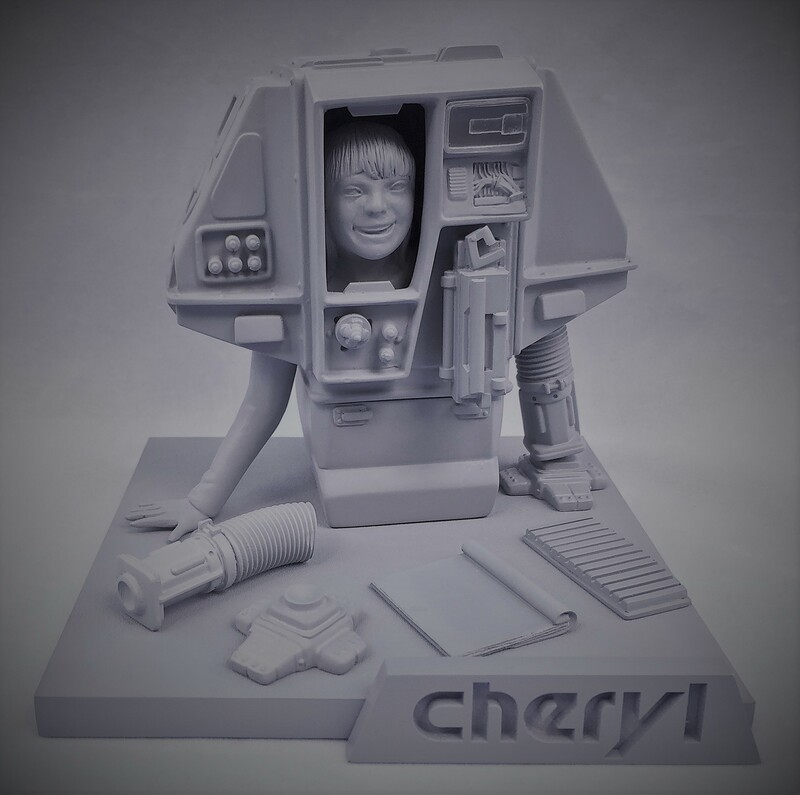 The kit includes a carpet-textured base, Drone parts, an opened script, and a “Cheryl” nameplate in the SILENT RUNNING font. The Script will include a decal with tiny type and yellow highlighting. « SILENT RUNNING Drone Robot Kits Are Now Available!